Not an expected conflict in Norfolk skies. 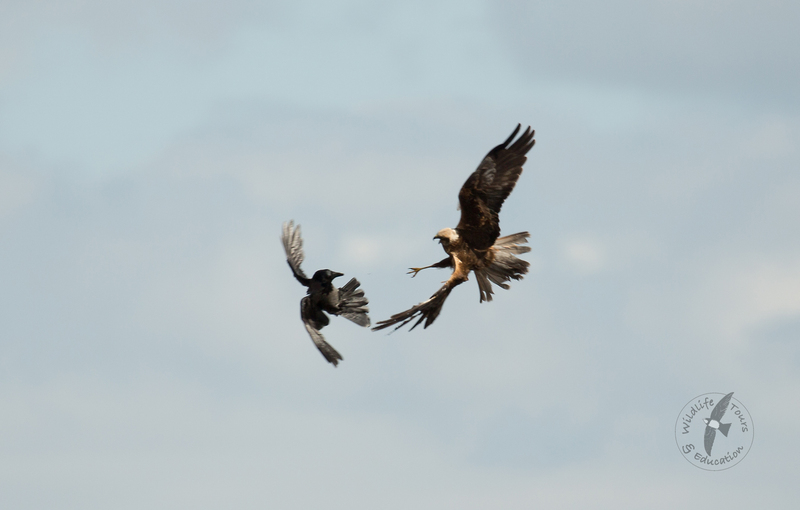 A Marsh Harrier depicted here having a spat with a Hooded Crow. Someone did say to me this was a hybrid Hooded/Carrion and quoted others as saying ‘because it had speckles on the breast’. I didn’t see these and it looked good to me!